First Blog Post! – msliladiary..
Hello world, welcome to my very first blog post as a newly natural. My name is Lila Makopo and I come from South Africa. Here i will share my journey up until now to discovering natural hair :). I had been in relaxed hair practically most of my life since I was in primary school. A lot of ups and downs throughout my relaxed years, but it never grew until shoulder length. It used to frustrate me a lot because it was very thin hair and it was never growing. When relaxing my hair, my scalp burnt often. I was not doing my own hair basically by then but by the help of my family and going to the salon. But then I did nothing about my hair up until I got to tertiary. Tertiary was all about weaves and braids, nobody really saw my real hair lol because i didn’t like the condition of my very fine hair. Believe me, I hid my hair a lot. I used to damage my hair because I would never leave my own hair for a break, it was weave after braids and braids after weaves. In 2013 I began seeing movements of natural hair around social media and I was really intrigued. I got really obsessed with the afro-like hair, and all I saw were so many beautiful ladies with this big beautiful African hair. I wondered if I could try and grow my hair natural, but I was too scared to start my hair from scratch lol. I kept procrastinating, then came May 2013 i told myself I’m going to cut my hair no matter what and I did my big chop. My hair was already damaged by then. 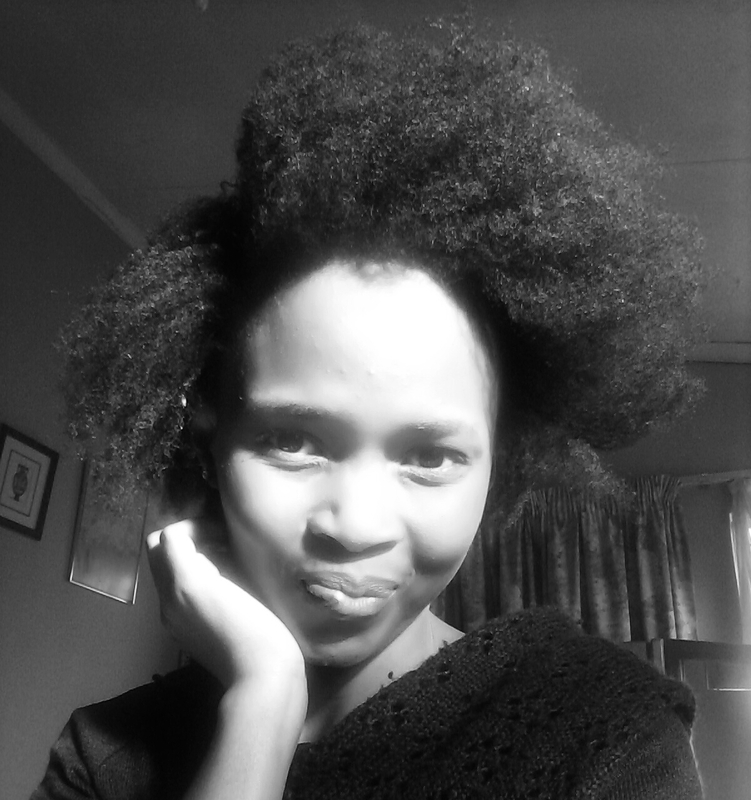 Though I was excited about the natural hair journey, I was frustrated at times because I didn’t know how to manage and maintain this new hair of mine. I cut it a lot, because i saw a lot of damaged split ends. But I keep on being persistent, and trying out ways to manage it. I make a lot of mistakes, but that’s how you learn when you are keen to reaching your goal! I am thrilled to say that I LOVE natural hair. The beauty of it is exquisite. African hair is so unique and pretty, and there is nothing wrong with it. All kinds of races have their type of hair, and God made all types of hair unique the way they are. I’m still a newbie natural and I have got a long way to go, but I am loving the journey. I get to learn something new about my hair type almost frequently. I still do a lot of research and step by step I am getting there. For those who are newbie naturals as well, do not give up on your hair. It takes much process, but the results are worth the hard work and patience! I hope we will all share and help each other through our journeys! My current natural hair progress!